THE leader of a far-left political party has come under fire after it emerged he bought a €600,000 home despite criticising other politicians for buying similarly-priced properties. 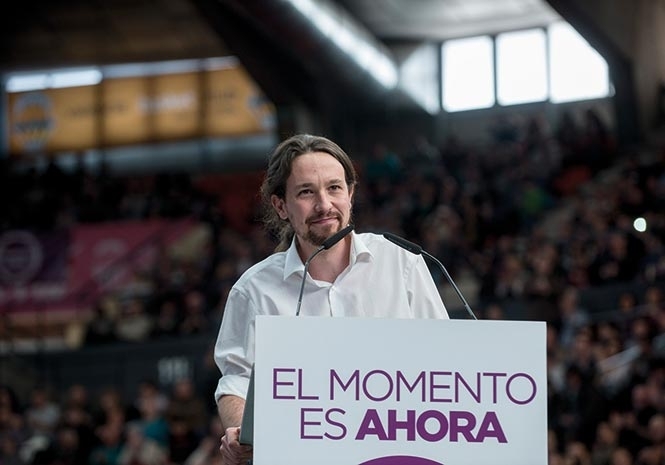 Pablo Iglesias, leader of the Podemos party and a representative for Madrid in Spain’s Parliament, will move into the 250 square-metre home with his partner and colleague Irene Montero. The couple reportedly took out a €540,000 mortgage between them. They will pay back €270,000 each over the next 30 years in around €1,600 a month instalments. After facing heavy criticism from fellow party members, both politicians have submitted themselves to a confidence vote. The Podemos mayor of Cadiz, Jose Maria Gonzalez, said “Podemos’s ethics code isn’t a formality. The home sits on a 2,000 square-metre plot and features a swimming pool. It is in Galapagar, a town northwest of Madrid which was reportedly chosen because it is near a school known for its alternative learning methods. Iglesias and Montero announced they were expected twins on March 31. The couple also have three dogs and said they wanted a family home with a garden. The purchase has caused controversy due to Iglesias’ comments criticising former economy minister Luis de Guindos for buying a €600,000 penthouse in August 2012. Podemos sources said the cases could not be compared because Guindos bought the home as an investment. A video from 2015 of Iglesias criticising politicians who “isolate” themselves in their homes has also resurfaced online. Montero wrote on Facebook that their salaries as public servants had enabled them to buy the house. “We know that many Spanish families cannot afford a mortgage like this and that is why we understand it is so important to defend decent wages for everyone,” she said.